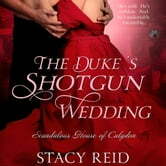 A 2015 Virginia Romance Writers HOLT Award of Merit recipient for outstanding literary fiction in the Romance Novella category. For Sebastian Thornton is no stripling to be trifled with. The lady has played her hand. Now it's his turn. For Sebastian is in need of a wife. And to find a wife with spirit and fire - even if she means to only marry for his money - would be a great prize indeed. And he intends to thoroughly take his pleasure with her... and demands his own satisfaction in return.